Full of interviews and other important information to writers, artists, and musicians. 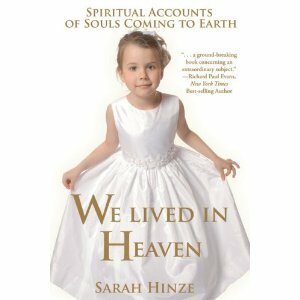 I received a free copy of Sarah Hinze’s book, We Lived In Heaven, to consider for review. I have spent some time with this book and finished reading it this week. It brought tears to my eyes. A letter from a mother to her son, whom she gave up for adoption, telling him of the dream that guided her through that painful decision. A kidnapped child who survived her ordeal by the guiding hand of the baby sister who would be born years later. A little boy’s memory of being brought to earth by his grandfather–a man he never knew. A woman’s vision of a child in a garden, and the powerful certainty that he was her son, waiting his turn to come into this world. Whether or not a person believes or does not believe in experiences like those shared by countless individuals in this book, the read itself is uplifting. There were several occasions, as I mentioned up above, where tears came to my eyes and peace to my heart as I read through the personal accounts of many people in this sweet volume. In fact, when I finished reading the book, I didn’t want it to end. I sincerely hope that Ms. Hinze has another volume soon to come. While I’m slowing down my blogging, I thought this blog post on another website was really interesting for authors and creators of other products. We all know that if people don’t know about your “product” (whether that product is a book, a cog, or a movie), people won’t buy it. They can’t, because they don’t know it’s there. But there also comes a point where over-saturation of marketing hype about you will hurt you more than help you. Here is an interesting blog post about such matters. This author makes a point to ponder. Love chocolate? Love Jane Eyre? Then you’re going to love the blog tour (July 26-August 6) for Chocolate Roses by Joan Sowards. Janie Rose Whitaker’s world revolved around her chocolate shop until Roger Wentworth and his young daughter moved into the apartment across from Janie’s. Anyone would think Roger fit the mold of the “perfect” guy, but soon Janie discovers secrets that could keep them apart forever. Though she resists getting involved in Roger’s complicated life, they are drawn further into a bittersweet relationship. You will laugh, cry, and crave chocolate as you read this LDS parody of the classic novel Jane Eyre. Recently I received a free copy of Chocolate Roses to review. I was wondering what my response would be upon reading it. Why? Because romance is one of the few genres I avoid. I’m not a big fan of it. Not sure why, but there you have it. So I was pleasantly surprised to find once I began Chocolate Roses, I really wanted to know how it ended. I felt very wrapped up in protagonist Joanie’s life. The greatest enjoyment from the novel? Janie was NOT a knock-you-dead-gorgeous female. Far too many stories seem to have larger-than-life women who are more beautiful than is realistic. One of the reasons I found Chocolate Roses fun to read was because Janie felt like “Every Woman.” If Janie could have the happy ending Chocolate Roses offers, there really is hope for the rest of us! Chocolate Roses does have some difficult and sad moments in the story line, which is to be expected (being based on Jane Eyre). But if you are looking for a unique and quick read, something fun for your free time in the next few weeks, pick up Chocolate Roses. It really is a quite creative and fun read! We have two great prizes up for grabs! Win either a copy of the book (2 winners) or this fabulous apron created by Joan! All you have to do is leave a comment (along with your email address if it isn’t on your blog profile) and answer the following question: What’s your favorite type of chocolate: white, dark, or milk? The more blogs you comment on the more entries you’ll receive. All comments must be left by midnight MST on August 8 to be eligible. Sheila Stayley–Why Not? Because I Said So! Chocolate Roses can be purchased from Deseret Book, Amazon, and of course your local LDS bookstore. I cried today. But not for the reasons you might expect. I did so upon finishing Laurie Lewis’ newest book, Awakening Avery. I didn’t cry because of the plot points, the characters’ angst, or any part of the story itself. I cried because after reading the book, I realized I have thrown away so much of my life. Let me explain. I lived just barely north of the main setting of the book (Sarasota, Florida) for 12 years. Do you know I only went to the beach three times during that decade-long-plus era of my life? And it was in this realization that the impact of this book has made itself known in my life. The main protagonist in the story, Avery Thompson, will forever live on in my life as the inspiration for complete change. I now choose to stop living my life in fear. I choose to stop avoiding life’s experiences. I choose to visit “the beaches” in my life by simply enmeshing myself in the sand they offer and enjoying the experience. All too often I think we as mortals keep ourselves tightly encased in glass cases, afraid to experience pain. This was what Avery was doing in the story during the first year after her husband’s death. As I watched her evolution, I realized that in many ways throughout my whole life, I’ve mirrored her fear. No longer. And I count myself fortunate to have read this story. A few typos, sure. A few tweaks, sure. But what book doesn’t have that? This is a book I will remember having read years from now, and I pray that my choice today to “go to the beach” and stop fearing the sands of life will reap beautiful memories of a life well lived when my life is done. Thank you, Laurie, for Awakening Avery. Thank you, Laurie, for awakening me. Here’s how you, the reader, can get your own copy! I think it will change you in ways you’ll forever celebrate. You can learn more about Awakening Avery and Laurie Lewis on her website: www.laurielclewis.com and her blog: A View From the Other Side of the Hill. Here’s just a quick post to end the night with. Today I stumbled across a fun-to-read article on how to approach writing a book review. It’s a quick read with some great points. Thought you’d enjoy it. A Blog Tour for Author Laurie Lewis! is the perfect poolside read. We’re giving away 3 fabulous prizes. 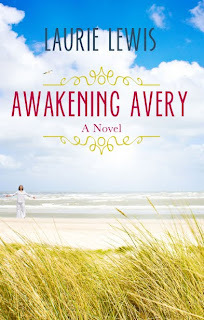 Two readers will win their own copy of Awakening Avery! Yeah. There will be one lucky grand prize winner who will win the beautiful necklace above. The contest opens June 2 and will close June 13 at midnight MST. 1. Follow our reviewers blogs. Here is the beautiful necklace being awarded as the grand prize! I received a complimentary copy of David P. Vandagriff’s new book, I Need Thee Every Hour: Applying the Atonement in Everyday Life, in the past month. “The Atonement of Jesus Christ is the most important event that ever has or ever will occur at any time or in any place in our universe. It is a gift not only for our last breath and the last day of our lives, but it is also for every day of our lives and every breath of our lives. For it is during the hours of our everyday lives that we work out our salvation, usually unobserved by others, sometimes feeling alone, and often feeling opposed. “Though commonly mentioned in the Church, the Atonement of Christ is frequently misunderstood by many of the Saints. It is often viewed as a tool that is only to be employed when dramatic sins are committed. However, the Atonement is something that should be a part of every facet of our lives – in joyful periods and challenging times. I Need Thee Every Hour is a beautiful book, the exterior artwork matching the depth of thought inside. A particular chapter, “‘Abide With Me’ – Prayer and the Atonement”, struck me deeply. I read of the author’s confusion why he could receive answers so swiftly as a Bishop and yet not as an individual. It was only when he realized he was approaching prayer differently as an individual that he received an insight that changed all future personal-prayer experiences. I was eager to talk with David more regarding this work, one that seeks to help confused individuals – who suffer from any number of difficulties – to find peace. He agree to an interview and I’ll be sharing his thoughts over the next couple of weeks, in periodic installments. C.S. : When did you first know you wanted to be an author? DAVID: I remember reading a newspaper article that said 81% of all Americans think they have a good idea for a book and should write one. As for myself, I have to admit a couple of half-hearted efforts at novels that didn’t go anywhere, but never really thought about writing a real book. While I was practicing law, a legal publisher asked me to write a book on “Document Assembly” – a riveting topic only if you were a techie lawyer in 1990 – but I never could find the time to produce more than a lot of magazine articles and a few book chapters in publications for attorneys. I think my current book began in 2008, when I co-authored Deliverance from Depression – Finding Hope and Healing Through the Atonement of Jesus Christ, with my wonderful and hard-driving wife, G.G., and my son, Greg. To be frank, G.G. provided the impetus for that book, but it opened the possibility that I might be able to write non-fiction that someone besides a lawyer might want to read. Even more motivating was the experience G.G. and I had during book signings of talking to good Latter-day Saints who were suffering from depression or who had someone in their family who was afflicted with this difficult disease. While I was bishop of a BYU singles ward, I asked that every talk and every lesson in the ward be explicitly tied to the Atonement of Christ. When I gave a talk, I held myself to the same standard, so I started collecting scriptures and quotes on this most important of subjects. This idea – connecting the Atonement to everything important – changed my life in ways I only began to comprehend while I was still serving on campus. After I was released, I worked to understand what I had learned and started to write my thoughts and feelings. The more I pondered the Atonement, the more clearly I understood the Savior’s influence on my life over many, many years, stretching back even before I became a member of the Church. I honestly can’t say exactly when writing for myself became the possibility for a book. It was probably G.G.’s idea, since she is the source of so many good ideas in my life. As I looked through the prism of the Atonement, I could see its influence helping me 20-30 years before I ever set foot on campus. Some parts of my book are taken verbatim from talks I gave when I was a very young bishop many, many years ago, but the central organizing principle, the Atonement of Jesus Christ as the center of revealed religion, only became clear when I really focused on understanding this vital truth. C.S. : What was the pathway like to get your first book published? DAVID: G.G. and I had developed good relationships with Covenant Communications, the publishers of Deliverance from Depression, so I submitted the manuscript for I Need Thee Every Hour to Covenant. Some people at Covenant had questions about how my book differed from the many other excellent books that have been written about the Atonement in recent years. My response was that the other books I had read dealt with the doctrine and theory of the Atonement while mine dealt with the application of the Atonement, how it applied not just on Sunday, but on every day and in every circumstance of our lives. I had an excellent editor, Samantha Van Walraven, who worked hard to overcome one of my major faults as a writer (and one that drives G.G. crazy), repeating myself too many times. Perhaps it’s my nature or maybe it’s the result of years spent explaining complex legal matters to hillbilly clients, but I have a tendency to explain, then explain again, then say the same thing in a slightly different way two or three more times. Sam whacked away the verbal undergrowth so basic principles and lessons are expressed well one time, not five times. Here is the link to read more about his new book, I Need Thee Every Hour: Applying the Atonement in Everyday Life, and to get your own copy. Know that this is not a light read. But if you are ready to ponder on new facets of the atonement of Jesus Christ, this would be a book you would want on your shelves.